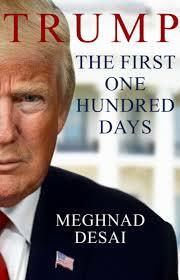 Veteran academic and analyst Meghnad Desai and his fellow writers dissect the Trump phenomenon across a broad range of economic and social policies. They consider, too, the array of foreign policy questions to which he is having to pay attention. Eugene Zhuchenko, Executive Director, LTIIA, contributes to the Fiscal Squalls section with an article “Finding the money”. If you would like to receive a complimentary copy of the eBook, click here.